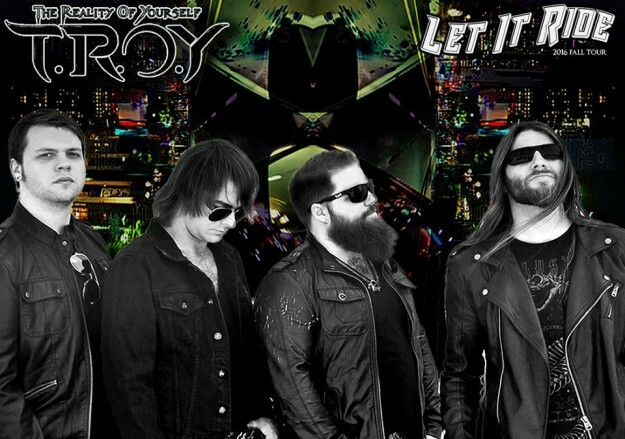 The TROY Fall 2016 Let It Ride tour kicks off in Springfield, MO on August 19th with more dates to be added soon. TROY looks forward to returning to the road and seeing many old friends as well as hitting some new places too! We can’t wait to see you out and about! Find out more info on dates, ticket information and our EP Two Worlds at our Facebook! Everything that we are is The Reality Of Yourself – See you soon! ® The Reality Of Yourself T.R.O.Y All Rights Reserved.